Most people use PSP to play games. However, PSP is not just a game system. To make full use of PSP, you can play games, watch movie, videos, and view photos etc. Some people might know that PSP can watch video clips and supports UMD, MP4 (some version support avi. ), but do not know how to put video to their PSP. Putting video to PSP is not as easy as it sounds. But with the guide below, you will quickly get to know how to put videos to PSP. You need a good memory stick, depending what type of length of video you want to watch. 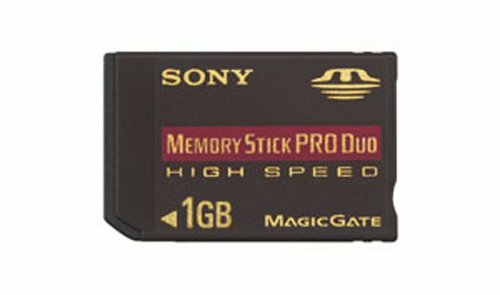 I encourage you to get a 512MB(or above) memory stick. 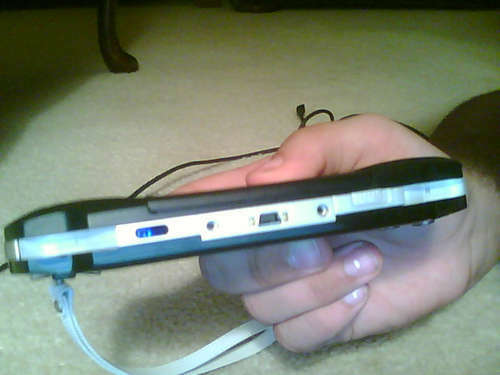 Connect your PSP to your computer, via USB cable. Make sure your PSP is turned off when you do this. Turn on your PSP, and go to the Settings Menu. In this menu select USB Connection and press X. Your computer should now detect your psp as an extra "removable drive". Your computer will assign a letter to this drive. Let's call it X:\ for future reference. Go to this removable drive with your Windows Explorer. There is a folder called PSP there. Create a new folder called MP_ROOT at this level if it is not already created. (So you will have X:\MP_ROOT). In the MP_ROOT folder we just created (X:\MP_ROOT\), create a folder named 100MNV01 if it is not already present. You will get X:\MP_ROOT\100MNV01. You are going to have to take the videos you have, and convert them to mp4 format If they are not already in this format. Do you know how to convert videos to MP4 format? Please visit here. Go on your PSP. Go to Video. Select Memory Stick. And You are now watching your video as wished! How to convert videos to PSP MP4 file? 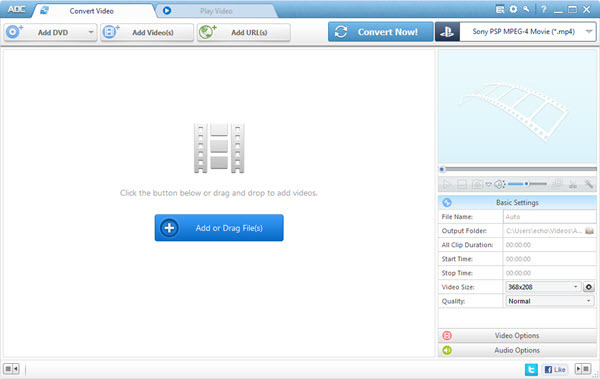 PSP Video Converter converts videos to PSP MP4 file with simple steps. Follows the instruction, and you can convert video in various formats, YouTube videos, DV video and DVD movies to PSP in 3 steps. 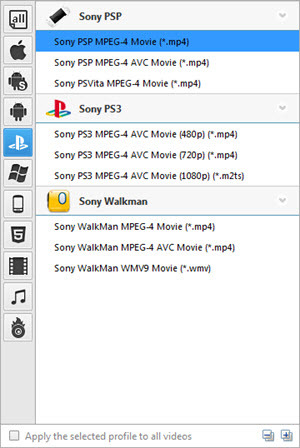 PSP Video Converter offers four output ways for you. If you convert video files from your hard drive, select "Add Video" in the menu. If you convert video files from DVD drive, select "Open DVD" in the menu. If you convert video from YouTube, Google, Nico video video website, select "YouTube". If you convert video from DV recorder, select "file-> Capture video from DV" in the file menu. After encoding, the converted file can be found at the output folder. Select "File->Open output folder"，you will easily find the converted files. 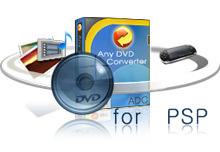 What can PSP Video Converter do for you? Why PSP Video Converter is the best for your PSP? Convert YouTube, Google, Nico videos directly to PSP.